* Fleurier Quality Foundation certification most demanding in the world. 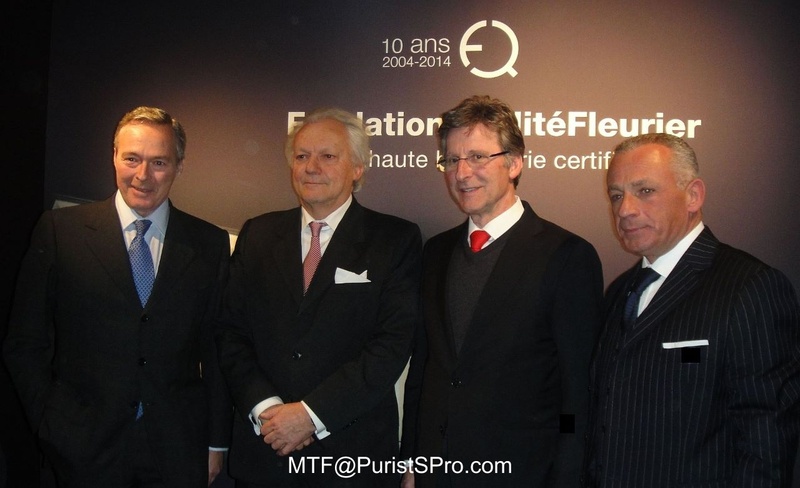 Fleurier Quality Foundation and the three founding brands – Bovet Fleurier, Chopard Manufacture and Parmigiani Fleurier – celebrated the tenth anniversary of the Fleurier Quality Foundation (FQF) certification. The celebrations took place in the Burkhardt-Felder Foundation in Môtiers. Left to Right: Mr Scheufele, co-president of Chopard; Maître Hofner, President of the Fleurier Quality Foundation; Mr Parmigiani, President of Parmigiani Fleurier and Mr Raffy, Owner of Bovet Fleurier. 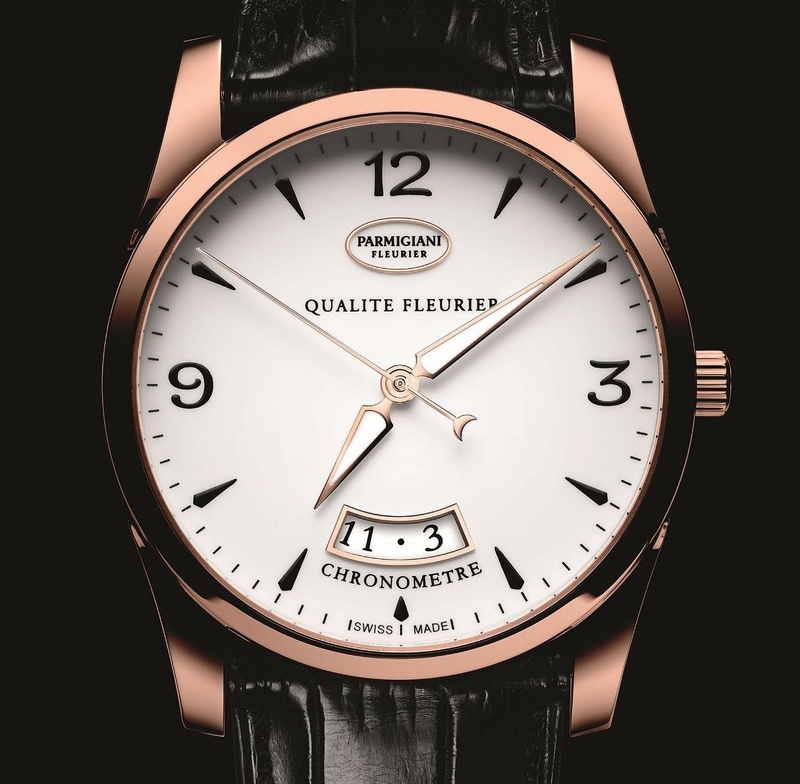 In 10 years of activity, the FQF has certified only 3000 watches but the rate of submissions increased recently as the participating brands geared up to satisfy the strict criteria. It takes about 4 years to build the audit and manufacturing infrastructure that is robust enough to pass a FQF certification and at least 5% of production numbers are sacrificed (tested to destruction) during each submission. 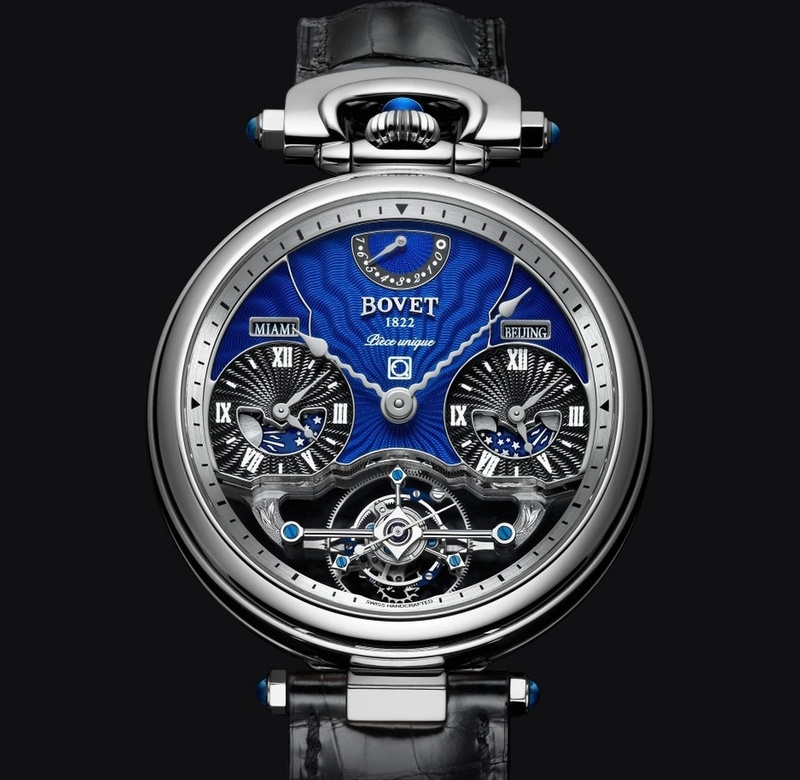 Bovet Fleurier submitted one QF piece of one movement - Rising Star Tourbillon – for 2014. 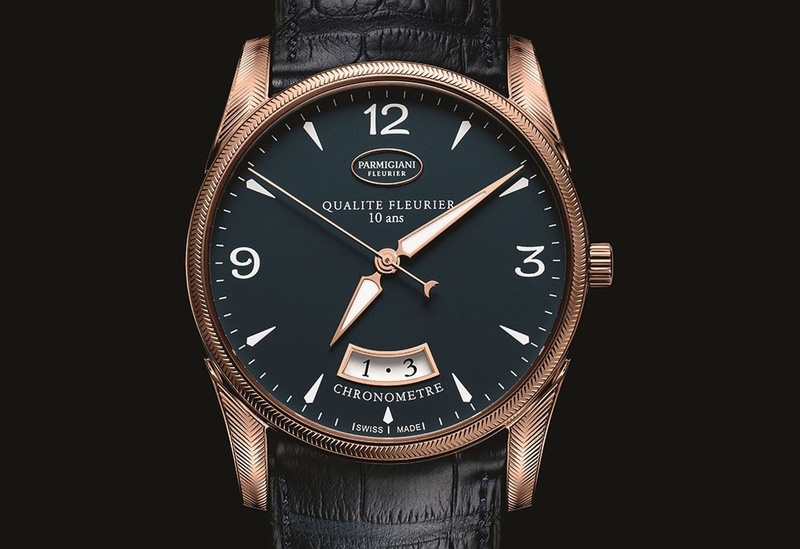 Parmigiani Fleurier has submitted hundreds of QF pieces of one movement – Tonda 39 QF Automatic – in various case and dial colours, including a 10th Anniversary Tonda QF model. 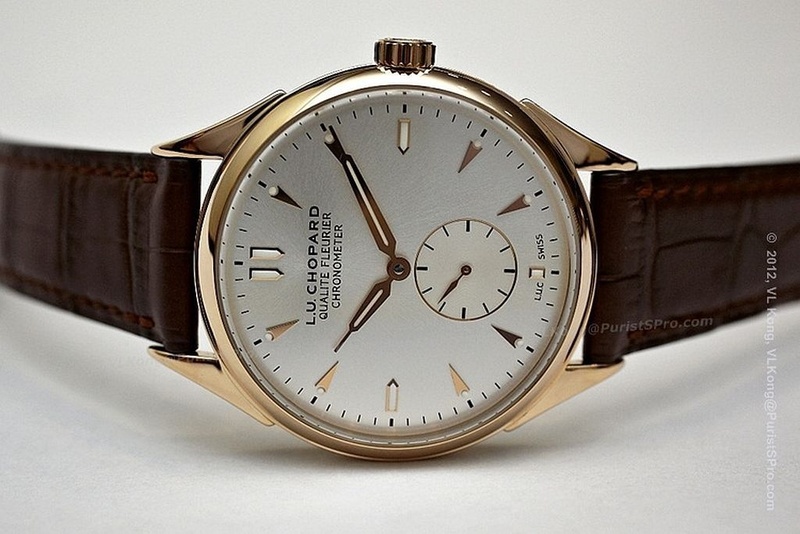 Chopard has submitted the majority of QF pieces to date, in 7 models and with 2 movements – L.U.C. 9.96QF and L.U.C. 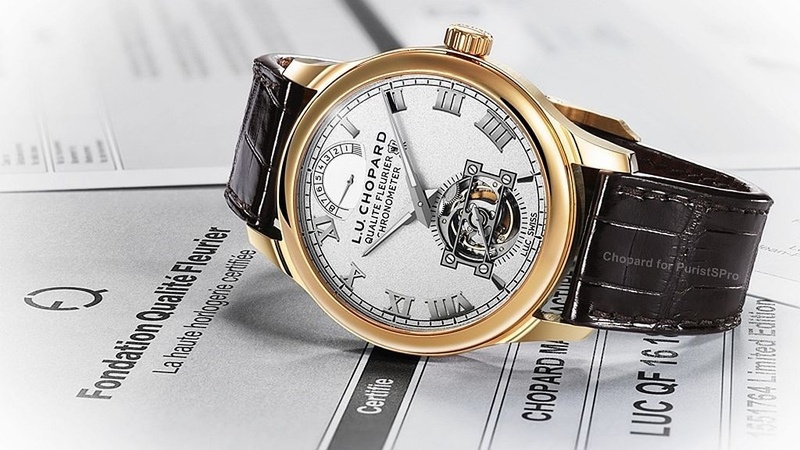 1.02QF Tourbillon – in various case and dial colours, including a 10th Anniversary L.U.C. 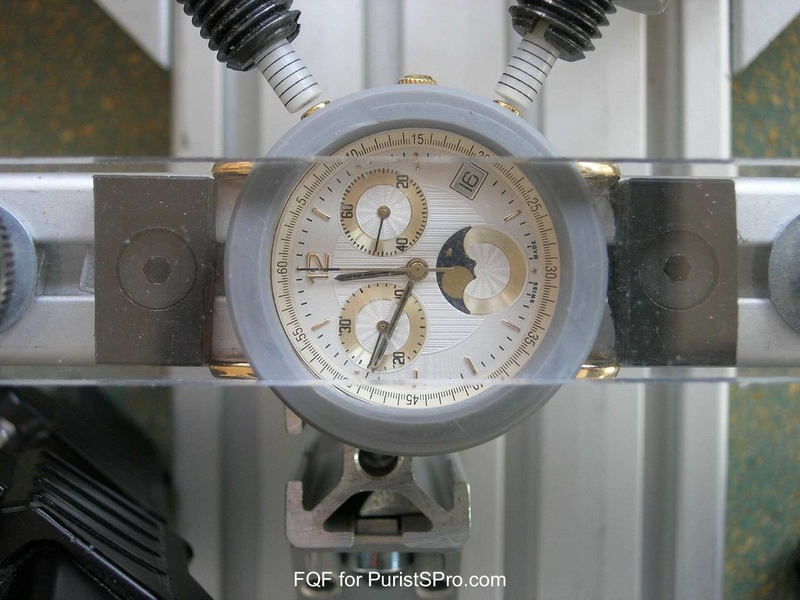 QF Chronometer. 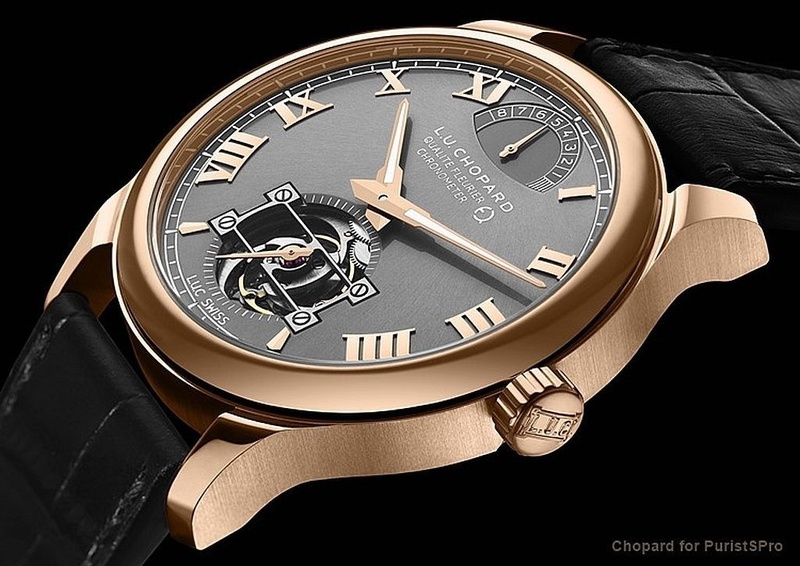 L.U.Chopard Triple Certified Tourbillon QF, Geneva Seal, COSC and the Fairmined Gold mark. Thank to a decade of work, this certification has established itself as the most demanding of all in the watchmaking world, since it challenges timepieces in their entirety. Through the intransigent demands implied by its five complementary test procedures and the resulting constraints, the Fleurier Quality Foundation has driven the three founding brands to excel in terms of both expertise and progress. Even if the Fleurier Quality Foundation certification involves only a limited number of products, it has an impact on all its watchmaking developments. It is a quality benchmark that spurs on all those involved to achieve excellence in each and every creation. 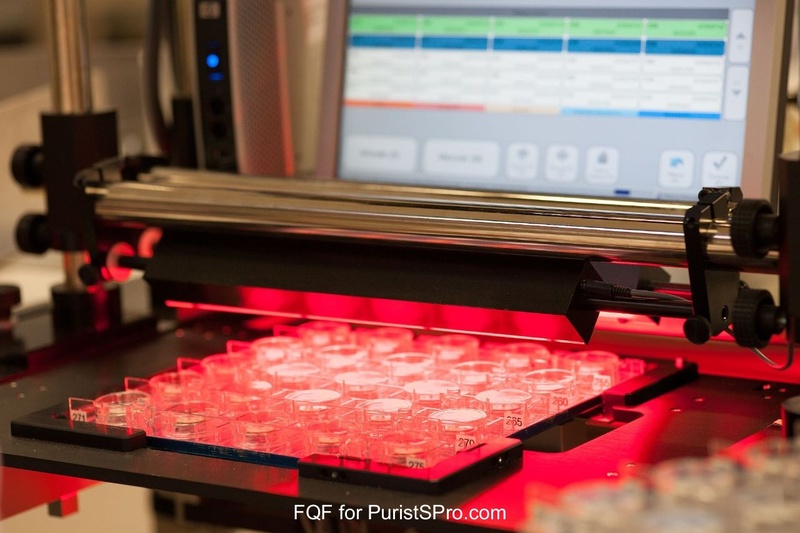 With immediate effect, Fleurier Quality Foundation is making the revolutionary Fleuritest machine available to any Swiss brand not belonging to the Fleurier Quality Foundation but nonetheless wishing to have access to one portion of its analytical procedures. This opening is named “FQF-Lab”. It aims at enabling third-party brands to benefit from cutting-edge facilities and offer them an opportunity to evaluate their production. The Fleuritest, now available to any Swiss watch brands, is a simulator of wearing conditions especially developed for the Fleurier Quality Foundation and which is unique in the world. It consists of a large computer-guided propeller putting the watches undergoing the test phase through a series of three-dimensional movements involving recreating everyday situations. The timekeeping precision of the watches is tested for 24 hours and this is one of the few tests in the world to deal with the finished product: a fully cased-up watch ready to be sold. 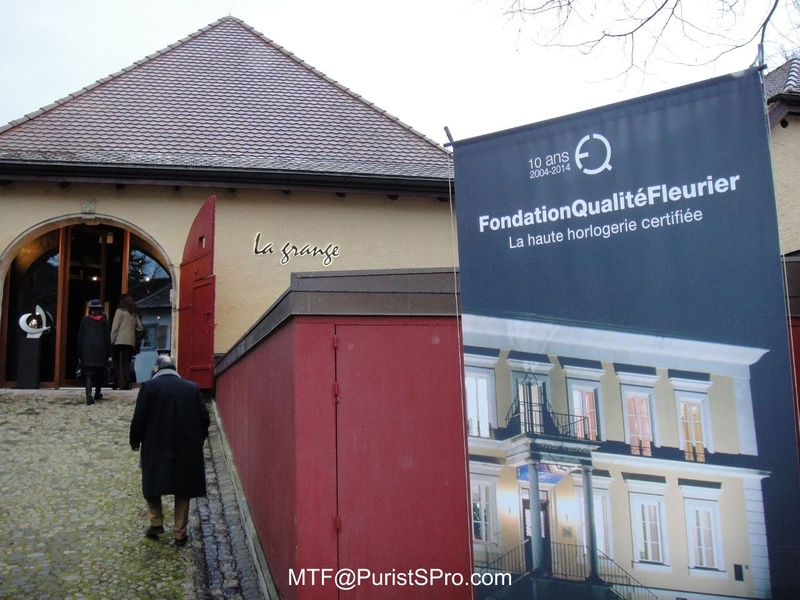 Calling upon the FQF-Lab does not afford access to being granted the Fleurier Quality Foundation certification, which implies four additional tests. Instead, it offers manufacturers a unique opportunity to evaluate their work and to continually optimise the industrial processes. The Fleurier Quality Foundation certification stemmed from exchanges between Karl-Friedrich Scheufele and Michel Parmigiani in the early 2000s. 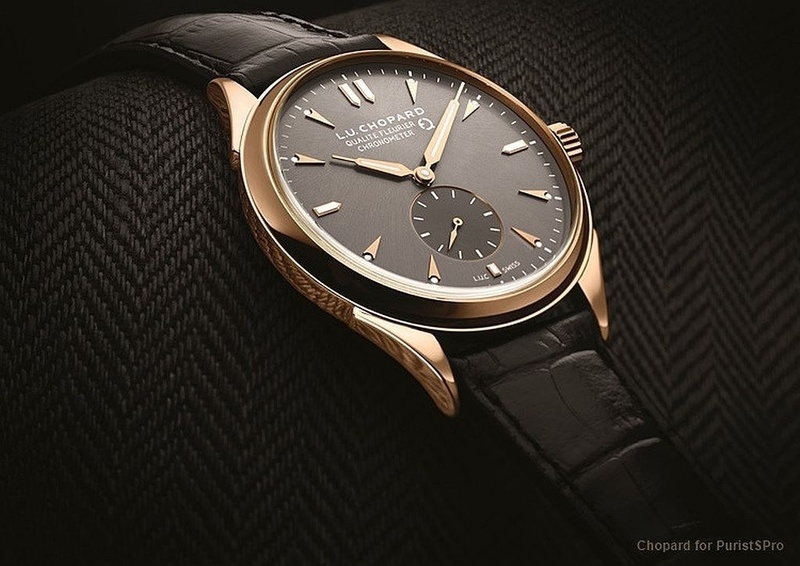 The respective presidents of Chopard Manufacture and Parmigiani Fleurier were both interested in forging a uniform definition of the terms “high-end” and “prestige” watchmaking. Together, they led the thought process right from the outset. 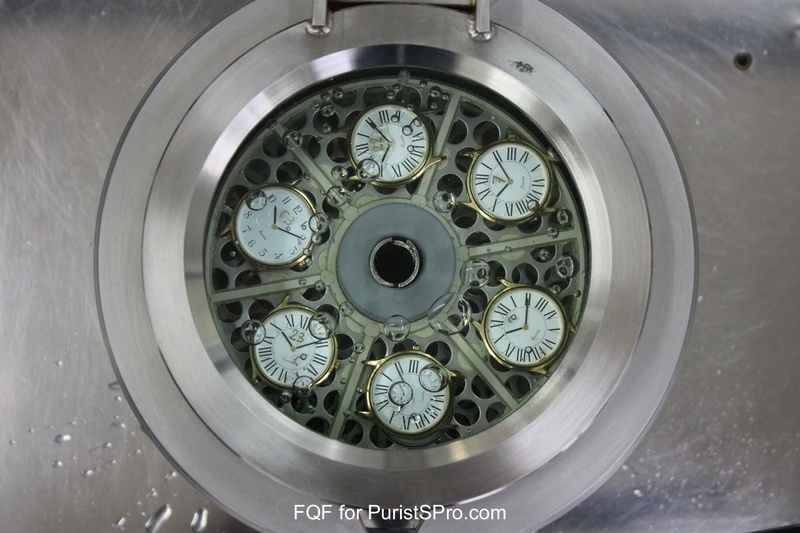 What is horological quality? What does the final customer expect? What conflicts may arise between the quest for quality and the requirements entailed by series production? Finally, how could this quality be certified in a manner that is credible for clients? These questions led the two watchmakers to define the broad outlines of the most demanding certification to date and which is defined as follows. The Fleurier Quality Foundation certification is open to all producers of Swiss mechanical Haute Horlogerie – and not only to those based in Fleurier as some might mistakenly think. It endows products with a set of high-level quality certifications. Geared towards the final customer, the demands guaranteed by the Fleurier Quality Foundation encompass precision in all circumstances; robustness and durability; as well as the impeccable quality of aesthetic finishes. The materials, design and the theoretical conception of the project may come from anywhere in the world. The entire work of actually producing the timepiece and any phases involving even the slightest transformations of material must be done in Switzerland. This criterion is clearly distinguished from the common “Swiss Made” label, which is achievable by making 50% of the watch ‘head’ (watch before it is fitted with its strap or bracelet) in Switzerland. 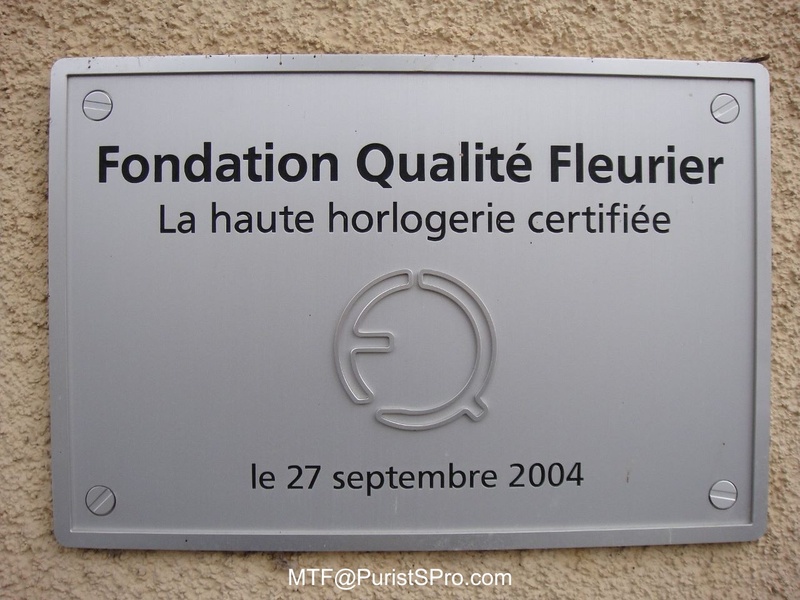 No exceptions are tolerated for this first criterion of Fleurier Quality Foundation certification and provenance is stringently verified in all instances. Several exclusive aesthetic finishing criteria are laid down in an extremely precise set of specifications. Only traditional, precious or avant-garde materials may be used, and these must be the object of decorative work reflecting substantial expertise and generating aesthetic added value. 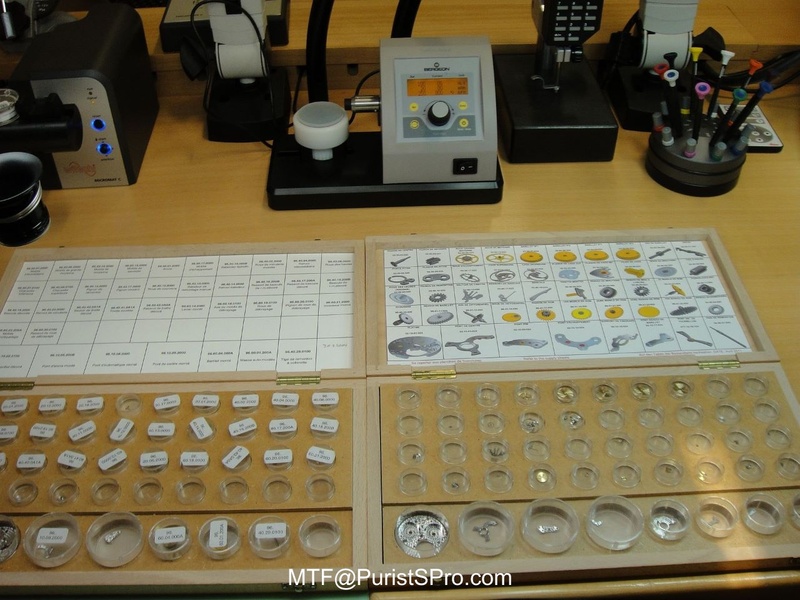 Each part of the watch is subjected to microscopic scrutiny to evaluate its level of workmanship and to guarantee a quest for absolute excellence, yet without in any way affecting technical reliability. 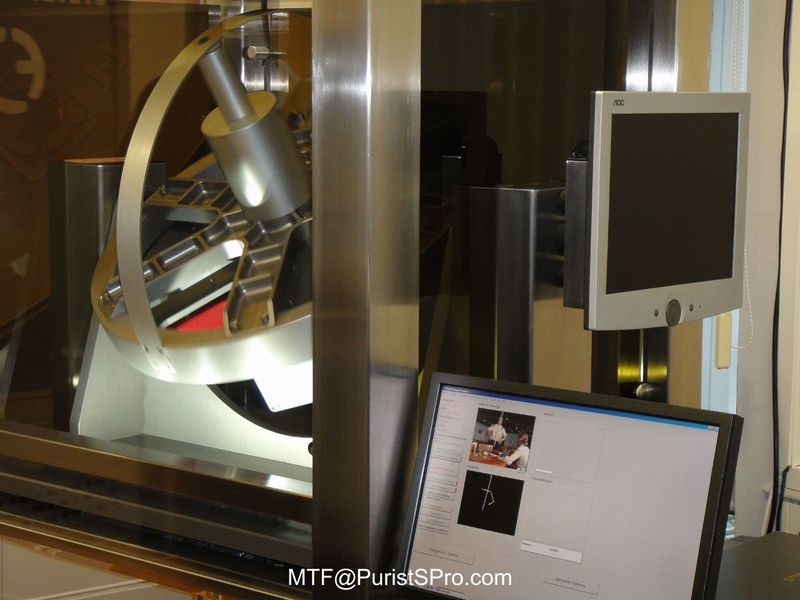 The COSC – the Swiss Official Chronometer Control Institute – is a neutral body dedicated to evaluating high-precision watches according to a set of specific tests involving changes in temperature and 5 wrist-positions, spread over 16 days. Each movement is individually appraised and the certificate granted to models having emerged successfully from this battery of trials testifies to their faultless timekeeping precision (-4 to +6 seconds per day). The Chronofiable tests performed in an independent laboratory certify a movement’s resistance to 18,001 shocks, wearing, water, magnetism – to mention a few factors. Each assembled watch undergoes an ageing cycle corresponding to six months of normal wearing; tests designed to measure the push-and-pull forces on the winding stem and pushbuttons; tests on reactions to magnetic fields; and finally, shock-resistance tests using a heavy pendulum or striker. The fifth and last test in the Fleurier Quality Foundation certification process is probably the most impressive and undoubtedly the most exclusive. 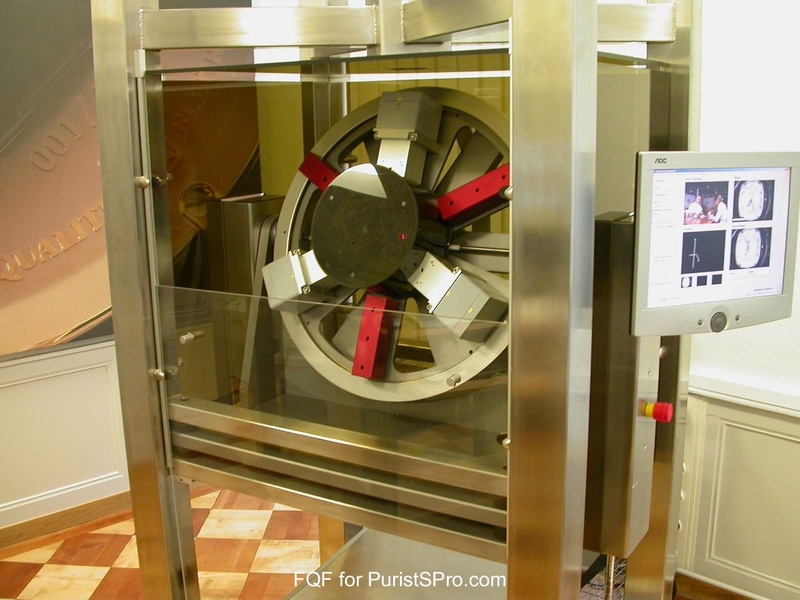 Developed exclusively for the Fleurier Quality Foundation, the Fleuritest machine features a wear simulator that is unique in the world. A large propeller performing three-dimensional movements is linked to a computer that enables it to identically recreate daily life situations such as putting on a pullover, going jogging or looking for something in a bag. These are followed by calmer phases aimed at corresponding as closely as possible to a full 24-hour cycle on the wrist. The timekeeping precision of the watch is measured with absolute accuracy by the Fleuritest machine which tolerates no differences outside the range of 0 to + 5 seconds per day, making it one of the most demanding tests in existence. Its independence from the brands it represents ensures impartial judgement and guarantees that there is no risk of any preferential treatment or any accommodating concessions. The five tests comprising ensure that this certification takes account of all aspects of reliability and resistance that affect the life of a timepiece, while combining them with high aesthetic requirements and guaranteed Swiss provenance. Fleurier Quality Foundation certification is based on the premise that the complementary nature of the tests represents the only comprehensive and authentic response to the quest for uncompromising quality demands. Fleurier Quality Foundation certification covers the industrial production of timepieces. This obliges brands to develop manufacturing processes that are reproducible while remaining of extremely high quality – and therein lies the main challenge. The demand for quality begins from the initial conception of the object with the necessity to develop a bedrock of excellence. It continues with programming machines and optimising their work. It calls for an ongoing dialogue between technicians and watchmakers, an approach yielding a wealth of positive results and conducive to continuous progress.
" Diving is Beautiful ", an in depth view on JLC Diving Watches and others.